THE WOODLANDS, Texas — While NASA’s overall planetary sciences program is enjoying record funding levels, the agency is grappling with cost growth in two of its largest missions. In its detailed fiscal year 2020 budget proposal published March 18, NASA confirmed that the Mars 2020 rover mission is facing growing costs just 16 months before its scheduled launch. 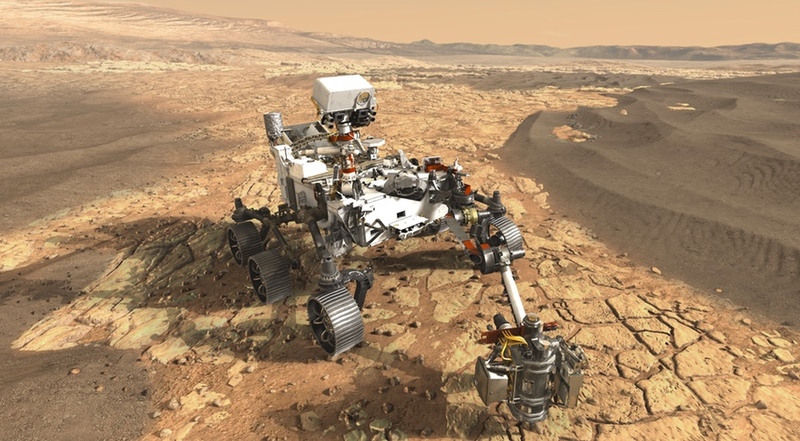 The agency said problems with two instruments, the Planetary Instrument for X-ray Lithochemistry and Scanning Habitable Environments with Raman and Luminescence for Organics and Chemicals, as well as rover’s system for caching samples that will be returned to Earth by future missions, contributed to the cost growth. NASA estimated the cost of Mars 2020 at $2.1 billion, plus $300 million for its first Martian year of operations, when the mission achieved a milestone known as Key Decision Point C in 2016. That would limit the cost growth to $360 million, although Glaze later declined to give a specific estimate for the increase in the mission’s cost. Cost growth above the 15 percent threshold would trigger requirements for congressional notification and replanning of the mission. She later told reporters that it was unlikely that NASA would take major steps, such as removing an instrument from Mars 2020, because of the limited savings that would offer at this late stage of development. “There’s already an enormous amount of hardware built and integrated and being tested for Mars 2020,” she said. Instead, she said the agency is looking at “small efficiencies” within Mars 2020 to reduce its cost, such as work that can be deferred. Elsewhere in the Mars program, Glaze said NASA is considering “small decreases” in other operating missions as well as cost savings from the end of the Opportunity mission. NASA spent $12.5 million on Opportunity in fiscal year 2018. Other funding could come from the Mars Future Missions program line, which primarily supports planning for future Mars sample return missions. “We tried to spread it so that no one is feeling all of the pain,” she said. During the question-and-answer portion of the town hall meeting, one scientist, Britney Schmidt of Georgia Tech, noted that ICEMAG was a major part of mission studies that led to Europa Clipper because of its ability to probe the interior of Europa and its subsurface ocean. She said there was a “large accommodation issue” created when NASA selected nine instruments for a mission that once planned to carry four or five, and wondered why NASA didn’t accept a scaled back or “descoped” version of the instrument proposed by the ICEMAG team rather than the agency’s plan to fly its own instrument. The decision to remove ICEMAG, but not any of the Mars 2020 instruments, is based on Europa Clipper being in an earlier phase of development, she said. “Part of what we’re trying to do with the process that’s being implemented on Clipper is to try and not end up in the same position,” she said. The challenges facing Europa Clipper and Mars 2020 stand in contrast to the rest of the planetary science program, which is enjoying funding growth. Congress provided the program with nearly $2.76 billion in the final fiscal year 2019 appropriations bill, an amount Glaze said she believed to be a record for the program. The administration’s fiscal year 2020 budget proposal requests slightly less for planetary science, at $2.62 billion.